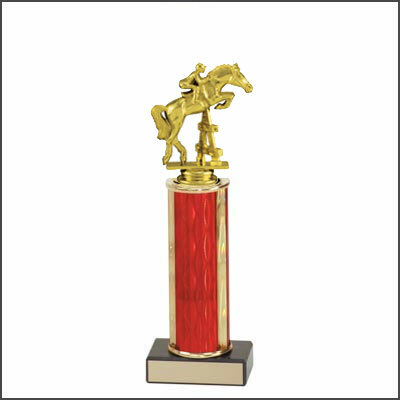 We offer a large selection of trophies for Horse Show, 4-H, Fun Shows, Play Days and Rodeos. 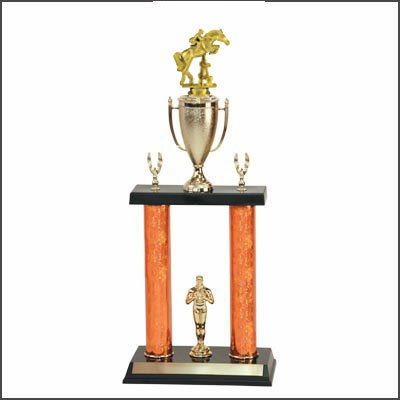 Our trophies are of the best quality and fit any budget. 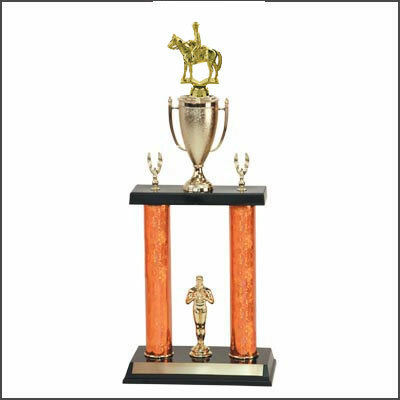 Scroll down this page to see our selection of trophies. If you have any questions give us a call at 800-787-8777. 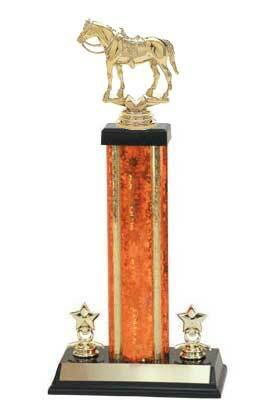 We start at the basic base and figure trophy, and go up to a four column trophy. There are many different sizes and styles in between. You can customize your color and base for a small additional charge. If you do not need a certain color, or base style, simply check the box "any shape or color is okay?. 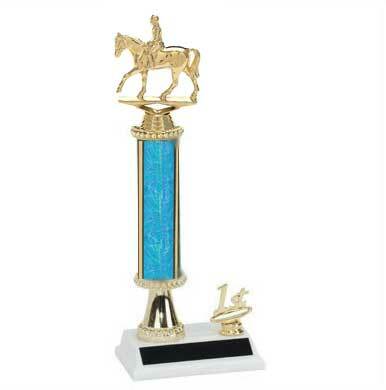 You can also customize the color of the column you would like (if getting a trophy with columns), if color does not matter, just mark the box "any color is okay?. 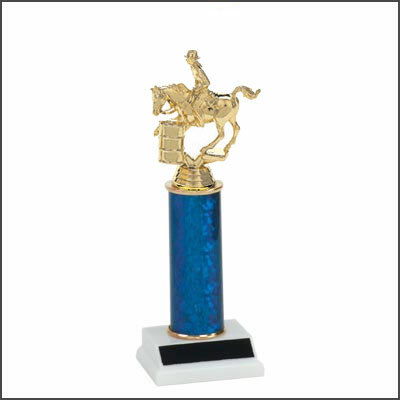 If you just need the trophy topper (figure) only, one can be purchase on our Trophy topper for Horse Show and Equestrian Trophies page. 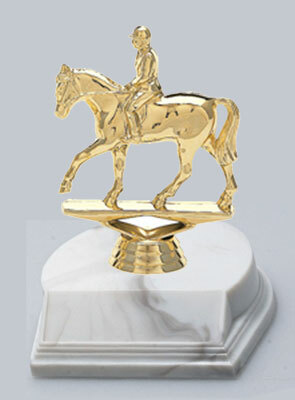 All of our trophies come with 40 characters of free engraving, anything over that is $.07 a character. When you check out, the engraving cost will not be figured. 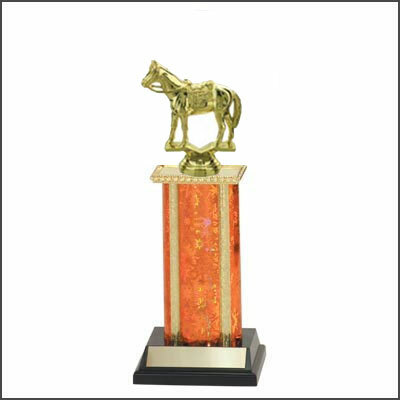 We will add it to your order after it is placed. You will receive an email with the final cost. 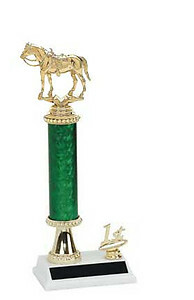 Most orders are shipped in seven business days after it is placed. 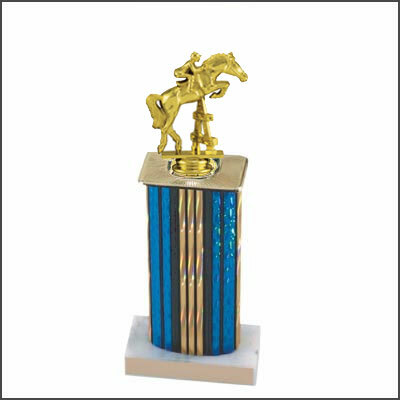 Standard shipment is UPS ground, however we can ship USPS or air if needed. 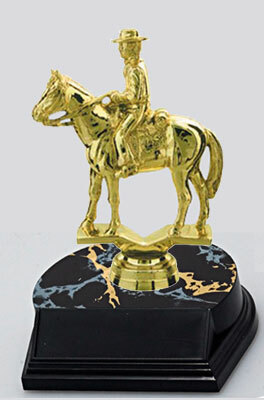 If you need your order sooner, we can add a 15% rush charge to the order. Please check the box for rush orders. Special shipping and rush orders must be confirmed by phone.